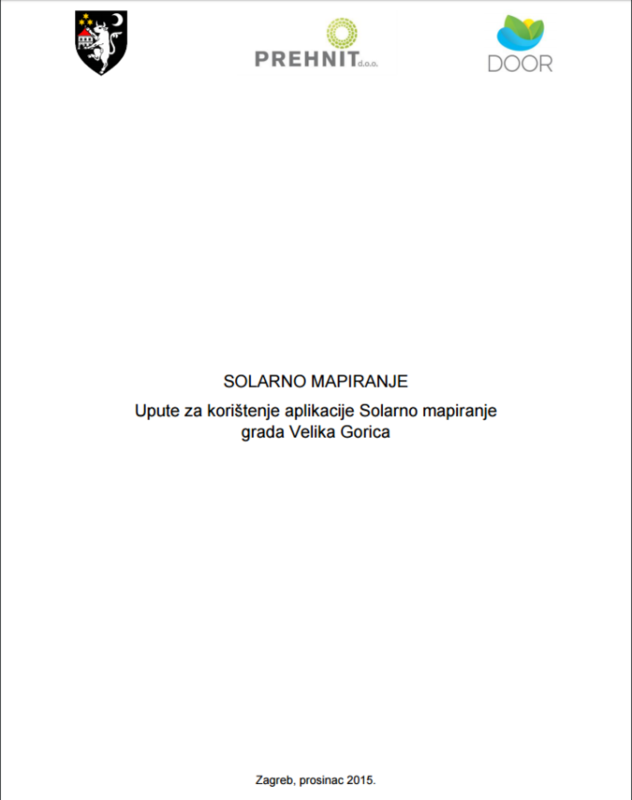 An application Velika Gorica SOLAR CITY displays public and residential buildings of Velika Gorica City with the potential roof areas for the solar power plants installation. Solar maps, as representations of the potential solar energy usage, are publicly available and free and they allow buildings’ owners, potential investors, and all interested parties to find out whether a potential solar power plant on their roof is profitable. The energy contribution of solar power plants is in a relation to the consumption of energy and gas emissions savings and can be compared. 55 public and 112 residential buildings were selected for the project. Each object has a collected input data: a name and an address of the building, a roof pitch and orientation, and an available roof surface area for setting up solar power plants. For roofs with no pitch, panels can be set at two angles: horizontally (0°) and at an angle of 10°. The initial page layout consists of a control panel on the left side and a map layout. Navigation buttons are set at the top right corner of the map layout. All search categories and information about objects are contained in the control panel. Information about the project, about the partners, and the basic information about solar energy and used technologies are shown as buttons at the bottom of the control panel. All the selected information and marked objects from the result list in the control panel are shown in the map layout. Navigation buttons are used to change the cartographic representation of the map layout. 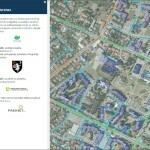 Besides the vector layer displaying objects as potential areas for the solar panels installation we developed, we used GIS layer displaying city’s streets provided by Velika Gorica City. 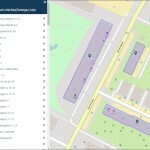 Additionally, we used OpenStreetMap and digital orthophotos of the area as basemap layers owned by Velika Gorica City. It is recommended to browse web application in Google Chrome, Internet Explorer or Mozilla Firefox browser. 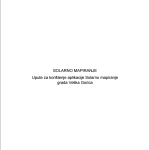 An application is available on the following websites: solarvg.info and solarnigrad.info.